Easter is often considered the most important Christian holy day, one that is celebrated joyously. And this year, one that will be here before we know it, falling on April 1st. This special time offers churches an outreach opportunity like no other and provides countless opportunities for celebration within the church family. We also know it can be one of the most challenging and exhausting seasons for music ministers and creative arts directors. There is so much that goes on behind the scenes prior to the celebration the congregation experiences. 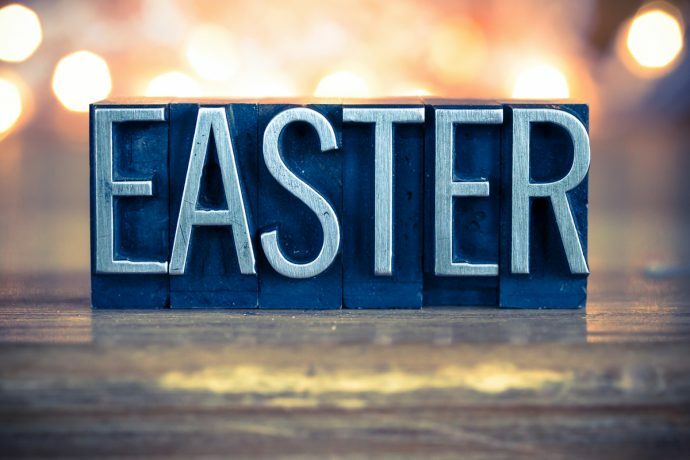 Knowing that your ultimate goal is to fill the season with events, programs, and activities that outwardly express the transformational message of the cross, we will focus on articles that feature practical guidelines, tips, resources, guest posts, and information on how to plan for a successful and stress-free Easter celebration. Before the season gets into full swing, now is the perfect time to address how to incorporate copyright clearances into your program planning. This is why we start today with an overview of legal topics to consider to make sure all your copyrighted material is cleared before your Easter production events. The beauty of it is, once this is done you and your team have the freedom to be as creative as you want! The key to a copyright compliant Easter program is remembering to PLAN. Prepare a list of all the details for each copyrighted work. Learn the basics of Copyright Law or let a copyright professional help you with research and licenses. Allow enough time to research and obtain permission. Never use copyrighted materials without permission or exemption. In the course of planning your program, you may want to use a variety of types of copyrighted material. There are eight works of authorship that can be copyrighted, and here are some of the common ones that are often incorporated into Easter events. Dramatic Works – Such as a screenplay, play or other scripts, a pantomime, or a choreographic work. Keep in mind copyright owners need complete details about the copyright and how you want to use it in order to issue licenses or grant permission. If you provide thorough information in your initial request, the license will be processed much more quickly. Also remember that copyright owners do not automatically grant permission for use of their copyright. Don’t assume you have the right to use it until you have received written or verbal permission. There are some companies that do not license their master recordings for any reason, and some publishers may deny your request for photocopying print music or synchronizing their song to a video. Christian copyright owners’ minimum fees often range from $20-$40. Secular copyright owners have much higher minimum licensing fees, ranging from $150-$300 per song. This is also true for sound recordings. The processing time for Christian copyrights is typically 6-8 weeks (although you can obtain some license types online on-demand) while secular copyrights may take up to 12 weeks. WorshipTogether – Download charts, chords, and lyrics. Custom Arrangements – Scoring and creating your own custom arrangements may often require obtaining a print and arrangement license from the song publisher, if it is not permitted through your CCLI license. The publisher will require the name of the arranger and the instrumentation/voicing of the arrangement. Medleys – Licensing is required for each song contained within the medley. The copyright information for the song is usually found in the music on the page where the song changes. On occasion copyright owners will grant a reduced rate for songs contained in a medley based upon the percentage of the song used. If your program is not a religious service, it is not exempt from requiring performance licensing. The CCS PERFORMmusic Onsite Facilities Music License allows churches and non-profit ministries to legally play or perform more than 25 million songs from ASCAP, BMI, and SESAC for non-exempt activities such as special programs, concerts, social and youth events, and more. The license covers church premises, which may include satellite or campus locations that are under the licensee’s legal and financial umbrella. If it is a ticketed event, an additional performance event license is required and can be easily obtained at Christian Copyright Solutions. If you want to stream your program, WORSHIPcast Online Streaming Music License covers internet performance rights for 25 million Christian and secular songs from the catalogs of ASCAP, BMI, and SESAC. The easy online reporting tool allows you to browse and select the songs you stream so your fees help support your favorite songwriters. If you plan on broadcasting your program on TV or radio, the broadcasting station is responsible for the appropriate broadcast performance licenses from ASCAP, BMI, and SESAC. While it may seem like a lot to take in, we are here to help in any way we can. If you have questions regarding copyrights and your Church please contact us at 877-394-5566 to talk to a copyright expert. Or log onto our website and chat live now. About Christian Copyright Solutions: CCS’s quest is to help churches and Christian ministries “do music right.” CCS is an expert on church music copyrights and our primary focus is providing licensing and clear educational resources to churches, as well as representation, administration and advocacy for copyright owners. Follow us on Twitter, Facebook and YouTube. The information contained herein is for informational purposes only, and is not legal advice or a substitute for legal counsel.